As a parent or family member, your most important role is providing support and motivation for your Blue Jay. Additionally, we encourage you to get involved in ways that can further enhance your family’s experience and connect you to the university. Consider becoming a Blue Jay Family Ambassador! As an ambassador, you support JHU by volunteering your time to help with campus events and outreach activities in the surrounding area and in your home community. Additionally, you may also serve as a contact person for other families who have questions about the Blue Jay Family experience. Ambassadors develop strong connections to JHU and relationships with fellow Blue Jay Families. Join 60+ enthusiastic Hopkins families from across the country and around the globe who provide leadership support for the Hopkins Parents Fund. Hopkins Parents Council members reach out to other Blue Jay Families to enlist their support, advocate in their home communities, and meet twice yearly on the Homewood campus with university leaders and administrators. For more information, email parents@jhu.edu. 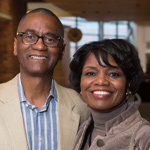 The President’s Parents Roundtable consists of a small group of families, hailing from across the country and around the globe, who serve as special advisors to JHU’s president and his leadership team. The Roundtable meets on the Homewood campus in the fall and in New York City in the spring to discuss university updates and issues related to the student experience. For more information, email parents@jhu.edu. Consider becoming a member of one of our Hopkins Parents Leadership Councils in Asia. Currently, these engaged Blue Jay families in Hong Kong, Shanghai, Beijing, and Seoul provide philanthropic support through the Hopkins Parents Fund, assist with events and activities in their respective regions, and serve as trusted advisors to Kevin Shollenberger, vice provost of student affairs. Council members also support the university in its efforts to expand Hopkins’ family and student communities in these cities. The Career Center, Parents Programs and Giving, and the Hopkins Parents Council hope to partner with you to build a network of diverse, meaningful, paid summer internships for rising junior and senior Blue Jays. Blue Jay parents are important partners in support of our goal to provide critical, valuable experiential opportunities for Hopkins undergraduates as they carve their pathway into a career. The Parents Internship Network is your vehicle to share your unique opportunity, or an opportunity from your professional network, on the Career Center’s digital platform for students seeking summer internships. Join other Blue Jay Families in supporting student success by submitting an internship opportunity and helping us to grow our impressive roster of companies participating in PIN. Additionally, parents and family members are encouraged to utilize their connections to create exciting opportunities for JHU students.